There are three Jackpots you can play. If every number you choose is drawn, you will win the Jackpot amount. The Jackpots increase each game until they are won. Check the TASkeno Game Screens for the current Jackpot level. 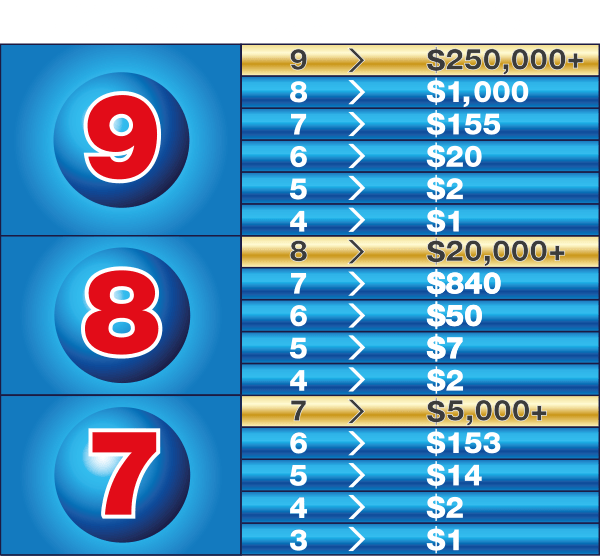 To play any of the Jackpots, simply select 7, 8 or 9 numbers on a Standard Entry Form and take it to a TASkeno Operator. You can play any of the Jackpots for as little as $1.